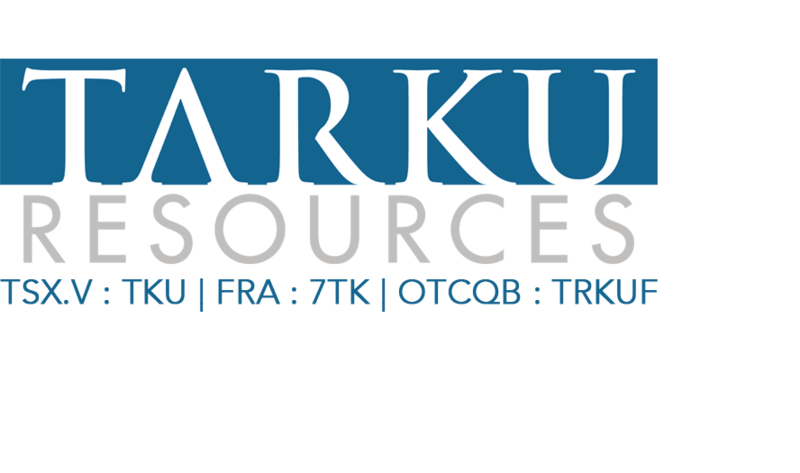 Cranbrook, BC, June 15, 2015: Tarku Resources Ltd. (TSX-V: TKU)("Tarku") Further to the company’s Press Release dated March 24, 2015, Tarku is pleased to report the payment of $10,000 and 2,000,000 shares has been made to Anthem Resources (TSX.V:AYN)(Anthem) as consideration relating to an option agreement whereby Tarku can earn a 100% interest in the road-accessible Chateau Fort gold project in Quebec. Under the terms of the agreement, Tarku can earn a 100% interest in Chateau Fort, subject to certain underlying diamond rights and Net Smelter Return Royalties. In return Tarku shall pay $100,000 in cash and 8 million Tarku shares in staged payments over four years. The parties have agreed to modify certain other terms of the agreement by reducing the firm work commitment, to be completed on or before July 10, from $200,000 to $180,000. In addition, Anthem has agreed to waive the requirement for Tarku to raise $400,000. Chateau Fort adjoins the “167” property of Visible Gold Mines Inc. (VGD-TSX.V)(VGD). In late 2014, Visible Gold announced the discovery of high-grade Au-Cu-Ag boulders at Km 147 and Km 150 along the newly constructed Route 167 Extension, a 4-season road providing direct access to the region. The property is also along strike and directly adjacent to the past-producing Eastmain Mine of Eastmain’s Ruby Hill project and directly south of their Lac Lessard Property. Eastmain plans work programs, including drilling, of $1 million and $500k respectively on those properties (PR- eastmain.com; January 27, 2015).